I provide professional services in the field of genealogy since 2005. My specialty is Polish research in a very broad meaning of the term. This includes ancestors who came from both historic and contemporary territories of Poland. I search for ancestors from all ethnic and religous backgrounds. It all started with travellers for whom I worked as tour manager and/or guide in Warsaw and Poland confessed that they had roots in Poland and wanted to explore family history of their ancestors before emigration. This is what motivated me to take professional approach to family history research. I hold a certificate from the Boston University Genealogical Research Certificate program (OL11 2013). Since 2007 I have been a member of the Association of Professional Genealogists. I work on singular projects focused on research into vital records and other documents, confirmation of ancestral locations, translation of records, finding living relatives etc. I also work on complex genealogy projects, which combine field research with archive and library searches. I have been successful on many projects when little was expected to be found due to (supposedly) limited resources. I am open to Clients' needs and work on achieving their objectives. I am also a keen photographer and my field research reports always contain photos from ancestral areas. In 2015 I published my first book in genealogy entitled in Polish Praktykowanie genealogii. Pieniążkowie z Jedlińska XVIII-XIX w. which translates to "Practicing genealogy. Pieniążeks from Jedlińsk 18th-19th century." The book descirbes how to organize a genealogy research using contemporary resources available in Poland including indexed records and digital images on-line. It also provides an example of written genealogy and how to cite sources working on genealogies from Poland. 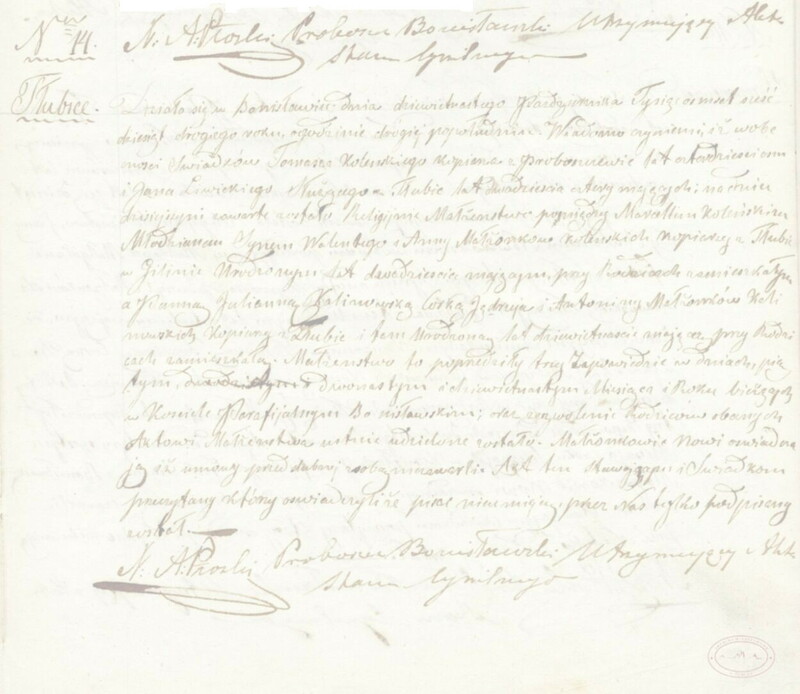 The example is presentation of 4 generations of the Pieniążek family, one line of my ancestors whom I was able to trace back to around 1708. They were shoemakers and craftsmen in a small town called Jedlińsk. The book is available on loan in the U.S. from the NGS (National Genealogical Society) Book Loan Collection at St. Louis County Library. At times I get involved in popularization of genealogy in Poland providing lectures for school students and adult audiences. In August 2016 I started running my first page-blog dedicated to genealogy (mostly in Polish but there are some articles in English and some pages have bilingual (Polish and English) introductions or comments) praktykowaniegenealogii.wordpress.com. Besides articles addressing various research problems based on examples from my own work I published there genealogy (4 generations) of Maria Skłodowska-Curie known in English as Madame Curie, who was originally from Warsaw, Poland, and had Polish ancestry. It is fully cited although I use simplified citation patterns. The focus is on genealogy and not biography and the site gets updated as my work progresses. The second useful resource on this site is a list of property versus street numbers from Warsaw from 1877 which can help locate street numbers for property numbers which were in use in records from Warsaw in early 19th century. In 2017 I published my second book on the subject related to genealogy entitled in Polish Data urodzenia Fryderyka Chopina. Ewaluacja źródeł, analiza informacji, konkluzja. which translates to "The date of birth of Frederic Chopin. Evaluation of sources, analysis of information, conclusion." The book is a proof argument for the correctness of the date of birth (22 February 1810) of Frederic Chopin written into two independent records, the civil record of birth and the religious record of supplement of baptism, which is questioned by some authors. At the same time the book compares information provided in religious and secular records, shows how to analyse them and what information can be obtained from them besides bare dates and parents' names. As any of my books it also provides examples of source citations of genealogical records/sources from Poland.